If you’re attending a conference or event at Mayo Civic Center in downtown Rochester, MN, you’re within easy walking distance of many fun things to do and places to go. Mayo Civic Center, Rochester&apos;s convention and event center, is connected via climate-controlled skyways and underground pedestrian walkways to an abundance of unique activities and entertainment options, as well as dozens of exceptional restaurants and a vibrant nightlife scene. The Rochester Art Center is located in the same building as the Mayo Civic Center and features contemporary art exhibits from some of the country&apos;s most talented artists. During a break in your conference, stroll through a strikingly-designed, spacious gallery that serves as a cultural center for innovation and creativity in southeastern Minnesota. The Rochester Civic Theatre (also located in the same building as the Mayo Civic Center) presents a variety of professional and community theater, music, and dance performances. Attending a production at the Civic Theatre is just the ticket to an entertaining evening after your last meeting of the day! Trolley tours, which load in downtown locations connected to Mayo Civic Center via the skyway system, are a wonderful way to see the sights and experience the history of Rochester. 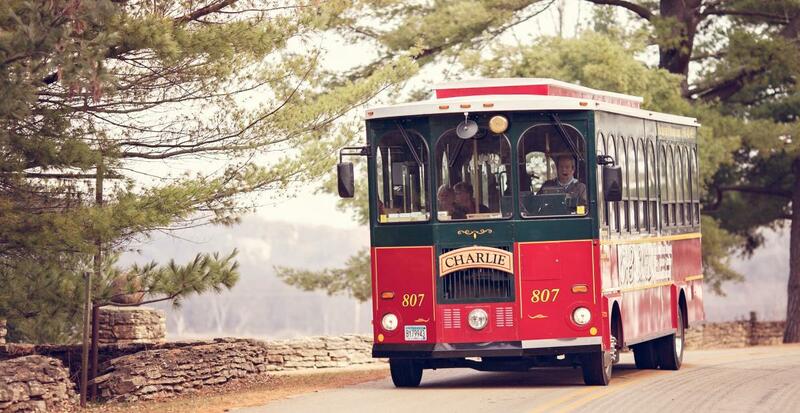 Individuals can hop aboard a Rochester Trolley & Tour Company sightseeing tour of the city or region, or meeting planners can book a group trolley tour for attendees. Trolley tour options include a Rochester City & Mayo Historical Trolley Tour, a Rochester Microbrewery Trolley Tour, a Frank Lloyd Wright Trolley Tour, a Wine Trail Trolley Tour, and more. Enjoy listening to your knowledgeable tour guide tell Rochester’s most interesting stories while riding in one of five charming, well-maintained old trolleys named after famous figures in the city’s history: Will, Charlie, W.W. Mayo, Alfred, and Henry. For convention attendees interested in health and wellness, the Mayo Clinic Healthy Living Program, located in a state-of-the-art 7-story Healthy Living Center, is open to the public. Enjoy a free 20-minute personal wellness consultation, take a tour of the wellness facility, book an appointment in the Rejuvenate Spa, and more. The Mayo Clinic Healthy Living Program also creates custom group retreats that could be a memorable experience for convention groups or teams traveling to Rochester, MN together. Festivals on Peace Plaza are always popular with convention attendees. During the summer months, the city hosts a weekly outdoor festival, Thursdays Downtown, formerly called Thursdays on First & 3rd. Bands perform on two stages each week, and downtown streets are lined with booths serving up delicacies from local restaurants and featuring items handcrafted from local artists. For a long weekend every winter, Peace Plaza is transformed into an outdoor ice bar experience, SocialICE. SocialICE features several uniquely designed and themed ice bars – each with signature drinks – as well as lighting effects, ice sculptures, and more. Rochester Farmers Market is a must-do for visitors who are in town on a Saturday morning from May through October. 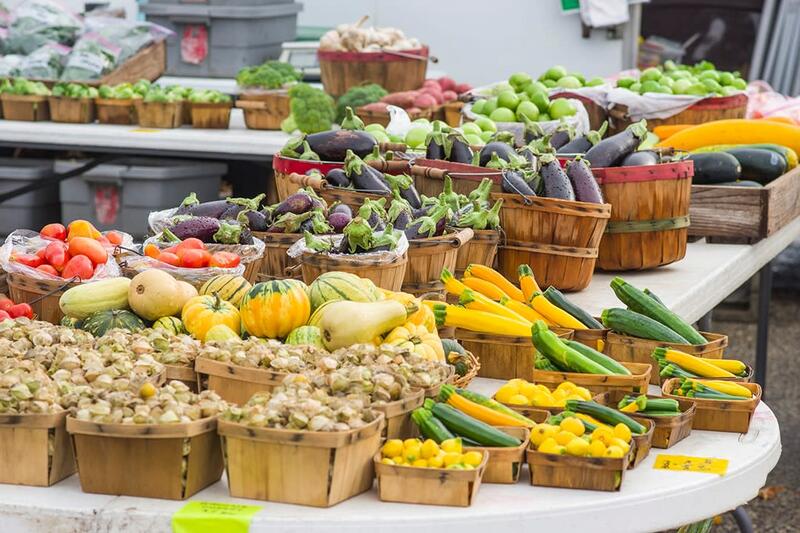 Meet our local farmers and explore dozens of booths featuring fresh veggies, fruits, meats, flowers, and more. Be sure to try the scrumptious warm cinnamon rolls while you’re browsing! Located at 4th St & 4th Ave SE, just across the Zumbro River from Mayo Civic Center. If you only have a few minutes to spare, several walking routes begin at the Mayo Civic Center. You can access Rochester’s 85 miles of paved, interconnected biking and hiking trails right outside the center along the Zumbro River. Enjoy a quick walk with downtown skyline views during a break in your day. Dooley’s Pub – A great choice for large groups, this spacious and lively sports bar is open for lunch and dinner, with a full menu served late into the night for convention attendees and event-goers who need an extra boost. 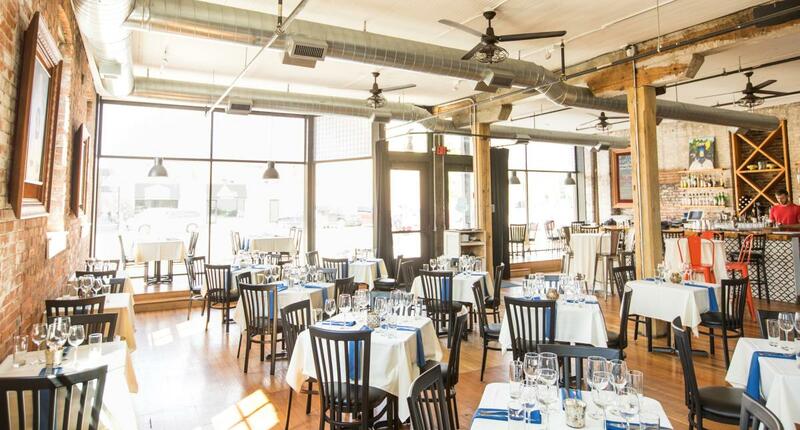 Porch and Cellar – You can’t beat this newly-opened establishment for its charm and local flavor. Located in a historic train depot on the outskirts of downtown, Porch and Cellar offers two unique restaurants in one building. Try Porch, located upstairs, for its “proper fried chicken,” or venture downstairs to Cellar for craft cocktails and plates. Terza Ristorante – Convention attendees and event-goers always give rave reviews to Terza, which hand-crafts and serves fresh pastas and desserts “with amoré” in a stylish, friendly environment. Start your evening with appetizers and cocktails on the establishment’s rooftop patio lounge, La Vetta, located seven stories above the restaurant. Bleu Duck Kitchen – You’ll love the combination of “fine dining” and “fun dining” at Bleu Duck Kitchen, which provides innovative American cuisine in a welcoming atmosphere. The menu emphasizes locally-grown produce and meats, and features an exhibition kitchen for you to follow the action as your food is prepared. Chester’s – A favorite spot for downtown visitors to grab lunch or enjoy Happy Hour, Chester’s offers casual upscale dining and made-from-scratch food. Sit on the patio (seasonally) just steps from the beautiful Peace Plaza Fountain. The Loop – Featuring American fare and creative cocktails served in a contemporary space, you’ll appreciate the diverse menu and vibrant ambiance of one of Rochester’s most popular restaurants. Pescara – Pescara serves sustainable, fresh, line-caught fish on a daily basis, as well as chops, steaks, and other refined dishes. 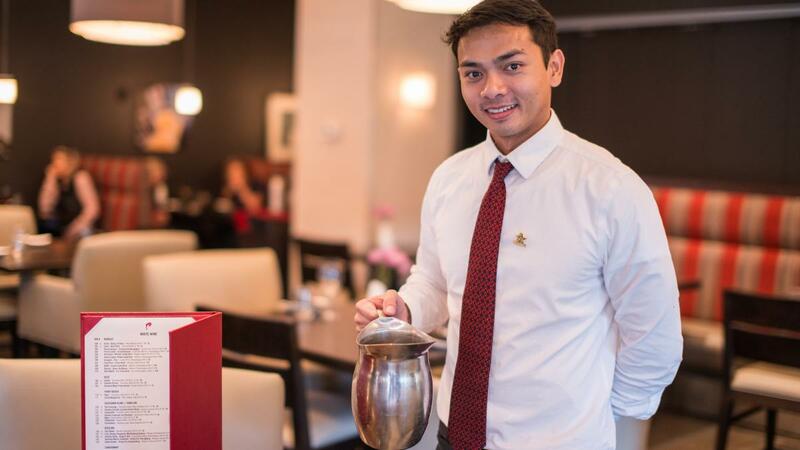 Experience high-quality service, savor fine wine, and enjoy elegant surroundings at this sophisticated eatery. 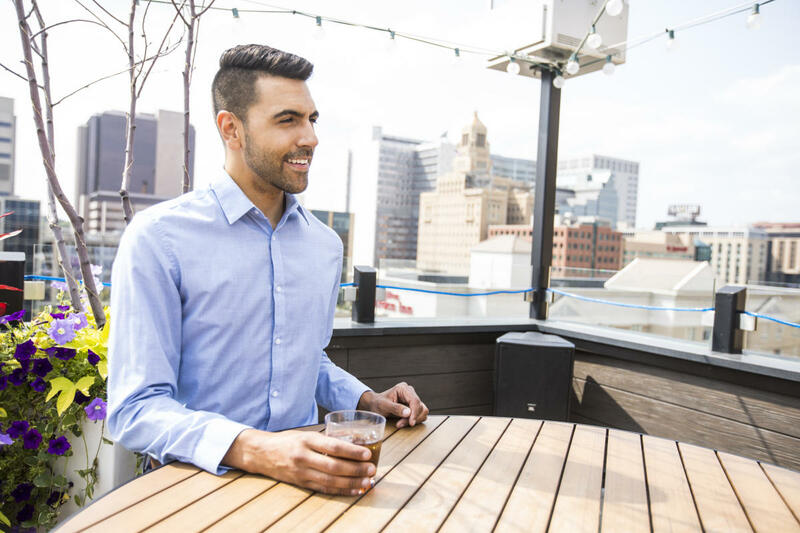 La Vetta – La Vetta’s seventh floor rooftop bar—providing panoramic views of the city--offers both indoor and outdoor seating and is the perfect place for networking during Happy Hour. Its fire lanterns and heaters keep the atmosphere pleasant for outdoor seating much of the year. Grand Rounds Brew Pub -- Serving fresh food and craft beer that is brewed onsite, you can experience the city like a local at this neighborhood pub in the heart of the city. Kathy’s Pub -- Treat yourself to a cocktail and a view from the third floor rooftop patio at Kathy’s Pub. Features live band performances, pool tables, darts, and a sports bar. Check out more things to do, dining, and nightlife opportunities as you plan your visit to Minnesota&apos;s Rochester!